As a kid, I did not realize how incredible my mom is. I knew she was amazing because after working from 7am-3pm, she would take my siblings and me to basketball practice, Kumon, ballet lessons, swimming lessons, Chinese school, and the store for school supplies. On Friday nights, we got to choose what we wanted to do for the evening. Our options were ice skating, roller blading, swimming at the local pool. After, she’d let us choose where we wanted to go for dinner. Henry, Annie, and I usually wanted McDonalds, In-N-Out, or Round Table Pizza. For all the other weekdays, she would come home from work at 3pm, take us wherever we needed to go, then have a homemade dinner ready at 7pm. Last summer, I worked full-time and sometimes could not even consider making dinner after work because I was so tired. My mom is amazing, like all loving parents in the world. Recently, she let me in on her secret. She claimed that all she did was cook simple meals during the week. I didn’t understand at first because her meals were always incredibly delicious. I thought they were quite elaborate. Apparently, her dishes only required about 5 different ingredients and took 30 minutes to whip up. This recipe is similar to something my mom would make during the weekday. It’s really delicious, but also really fast and easy to make. If you are ever looking for a simple and easy side dish to complement an entree with asian flavors, try this green bean recipe. I kid you not when I say this is an easy recipe. The three steps are blanch, sauté, then serve. 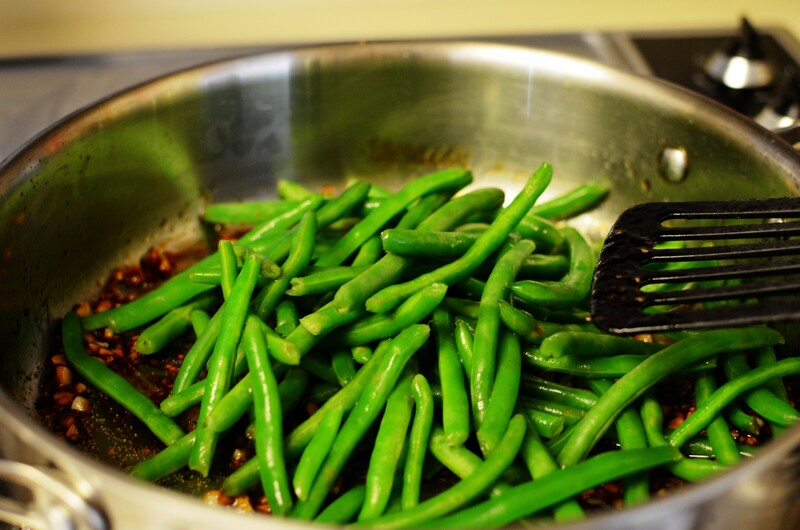 Blanch the green beans (aka cook the green beans in boiling water) then rinse them with cold water. 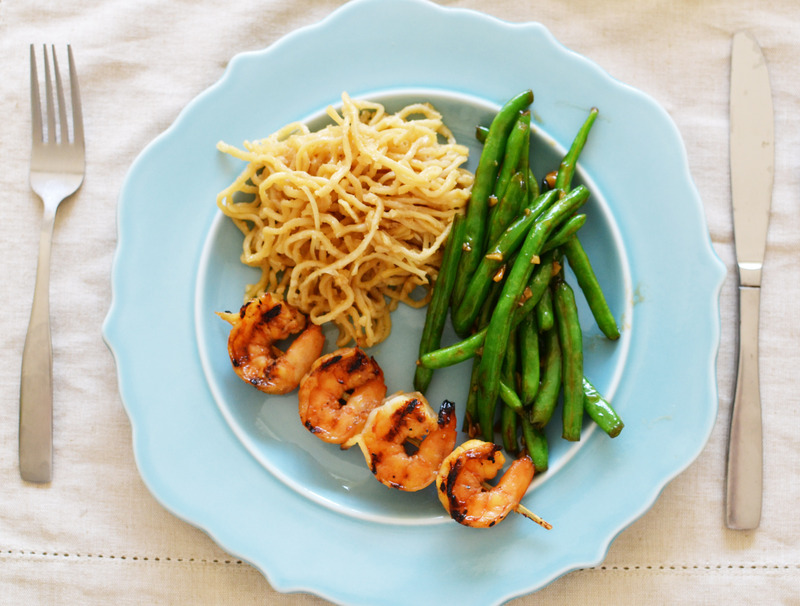 Cook the sauce in the olive oil and sesame oil then add the green beans. 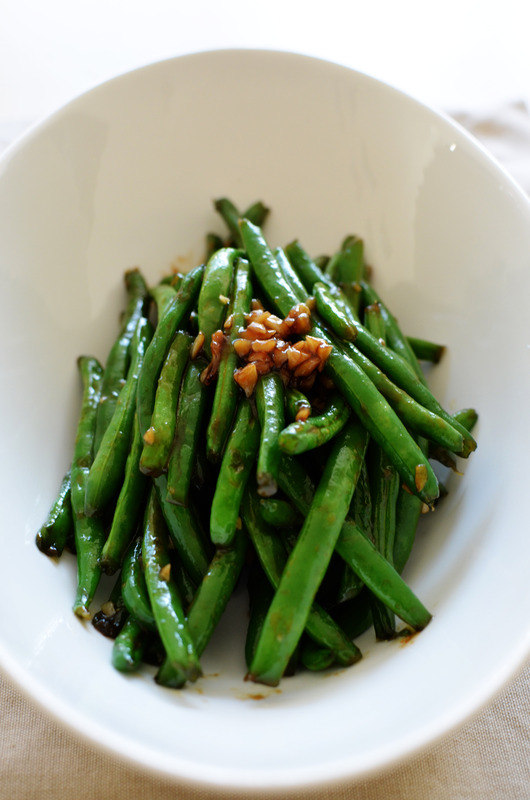 Blanch the green beans and cook for about 2 minutes. 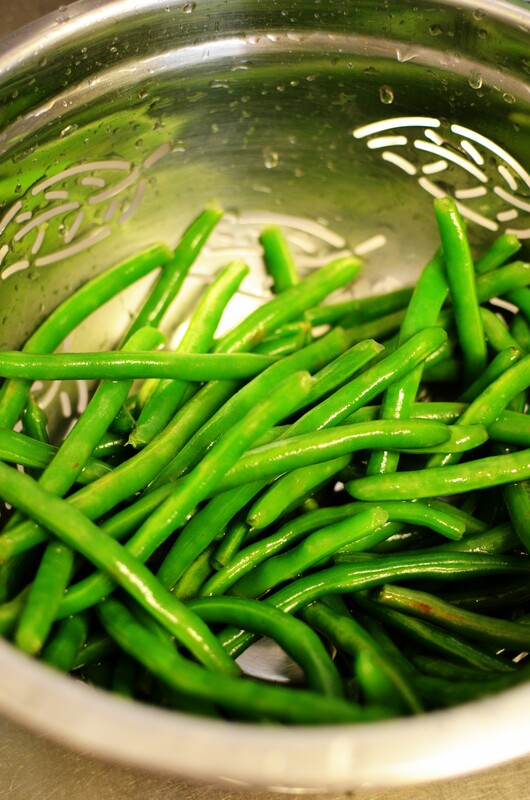 Drain the water and rinse the green beans thoroughly with cold water to stop them from cooking any further. In a small bowl, mix together the minced garlic, sugar, oyster sauce, and soy sauce, then set it aside. Heat the sesame oil and olive oil together in a saute pan over medium heat and stir. When the oil is hot, add the garlic sauce mixture to the pan and cook for 3-4 minutes to allow the sauce to thicken. Add the green beans and stir to coat all the beans in the sauce. Cook for about 4 more minutes then serve. This entry was posted in Sides.